We are a family run company, founded in 1998. Installing Flooring and Acoustic Wall Panels all over the UK and Europe. We pride ourselves on our �Service before Profit� motto and believe our future is built on reputation. Word of mouth from satisfied customers is our best means of advertising. Many customers reward us with their loyalty for which we are very grateful. We offer an exceptional service and will help and advice on all aspects of flooring and panel work. Founded in 1998 by Managing Director Bill Fox. He started, aged sixteen, as an apprentice in a long established furnishing company, installing flooring and furnishings to the leisure industry. He has brought all the traditional methods, gained from over 35 years in the industry, through to today's modern day requirements. All our fitters have been trained in the traditional way and combine that with technical experience to offer first class standards of fitting. Please browse our Client List / Portfolio or contact us for anything we can be of assistance with. Installed approximately 200 sq.metres of luxury hand tufted carpet. (Please click thumbnails to view larger images). 2 new cinema multiplexes for Odeon. A part refurbishment of Letchworth Hall Hotel with new clients Fairview Hotels. 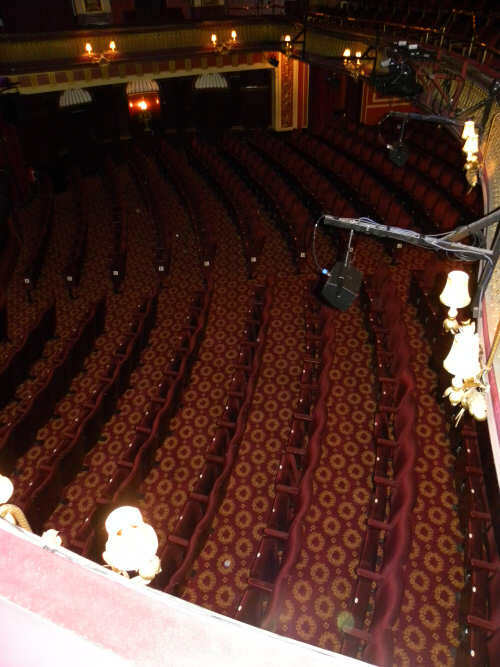 On top of this exciting start to 2013, we also have the total refurbishment of the Dominion Theatre, London. 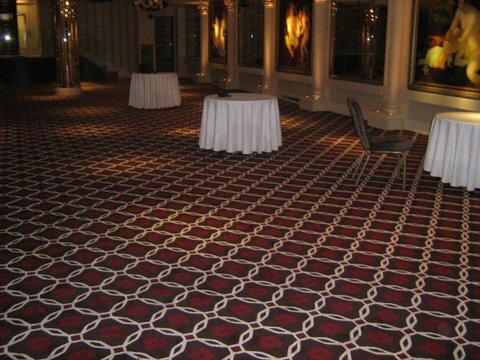 We'll be bringing this theatre back to it's original feel with some beautiful inset carpet designs.